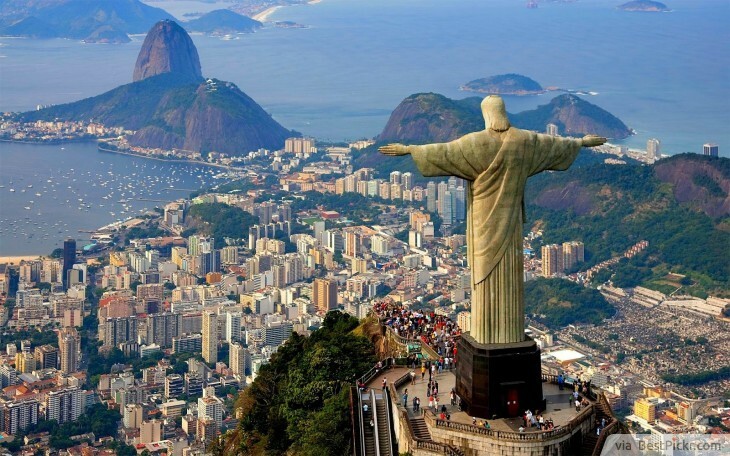 Brazil is the largest country in both Latin and South America by land, population and economy. Over 200 million people in Brazil speak Portuguese. This country spans across an area of over 8,515,767 km2 (or 3,287,597 sq miles), making it the 5th biggest country on Earth by territory, and the top 15 countries with longest coast lines. With a total GPD of about $2.505 trillion and $12,526 per capita, as of 2014 estimate, Brazil is the world's 7th richest country by GDP.